[In the revealed scriptures there are two nomenclatures for the householder’s life. One is grhastha, and the other is grhamedhi. The grhasthas are those who live together with wife and children but live transcendentally for realizing the ultimate truth. The grhamedhis, however, are those who live only for the benefit of the family members, extended or centralized, and thus are envious of others. The word medhi indicates jealousy of others. The grhamedhis, being interested in family affairs only, are certainly envious of others. Therefore, one grhamedhi is not on good terms with another grhamedhi, and in the extended form, one community, society or nation is not on good terms with another counterpart of selfish interest. In the age of Kali, all the householders are jealous of one another because they are blind to the knowledge of ultimate truth. They have many subject matters for hearing — political, scientific, social, economic and so on — but due to a poor fund of knowledge, they set aside the question of the ultimate miseries of life, namely miseries of birth, death, old age and disease. Factually, the human life is meant for making an ultimate solution to birth, death, old age and disease, but the grhamedhis, being illusioned by the material nature, forget everything about self-realization. 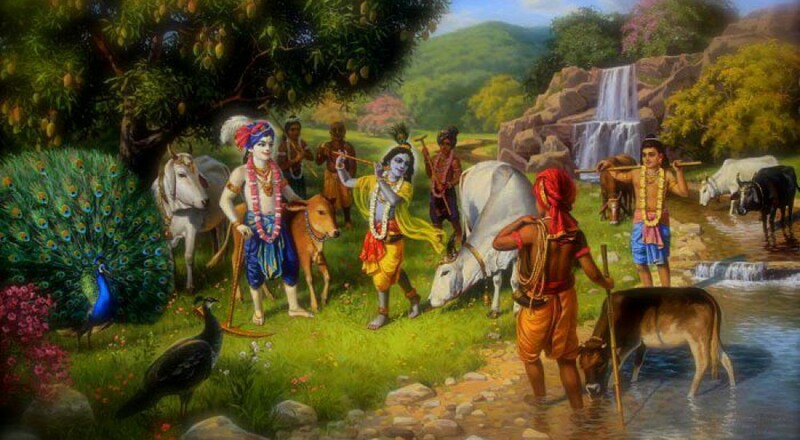 The ultimate solution to the problems of life is to go back home, back to Godhead, and thus, as stated in the Bhagavad-gita (8.16), the miseries of material existence — birth, death, old age and disease — are removed.